*No Longer Accepting orders for Spring 2019* Deliveries scheduled for late March and Early April, we will contact you. Thanks for your orders! 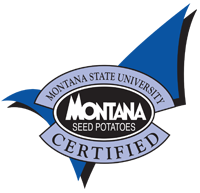 Montana certified seed potatoes are produced under the most stringent standards in the industry and are a source of high-quality seed for planting throughout the United States. Holbrook Seed Potatoes, along with their suppliers, are proud to offer a wide selection of high-quality garden seed to consumers across Montana. 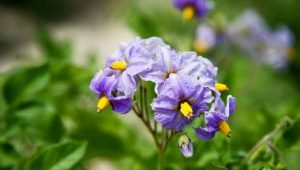 Many devastating potato diseases can be spread by poor quality seed, including from home gardens to commercially-grown seed fields. We aim to provide ready access to high-quality seed for all home gardens in Montana which will, in turn, help to ensure the success of our industry as well. We will deliver seed Late March/Early April 2019 for all orders placed in Montana. The cost of delivery is included in the price of the potato seed. For out-of-state orders, please contact us to arrange shipping.